Russia is ahead of everyone in the development of hypersonic rockets. Nobody has such a weapon yet. But tomorrow the situation may change. Hypersonic military research is being actively pursued by the United States. Is our air defense system ready to withstand new aerospace attack weapons? Lieutenant-General Vladimir Lyaporov, head of the GK Zhukov (Tver) Military Academy of Aerospace Defense named after GK Zhukov, told this question. -Vladimir Nikolayevich, the Pentagon is testing the X-37 orbital plane, capable of operating both in space and in the atmosphere. Develops hypersonic rockets. Is our air and missile defense ready to repel these types of aerospace attacks? -Early 20 years ago, academy scientists raised the question of the need to organize a fight with hypersonic aerospace attack weapons that remain invulnerable in the altitude range from 40 to 100 kilometers. That is, where air defense assets (air defense) are no longer in operation, and rocket and space defense assets (RCT) have not yet been able to destroy the enemy in terms of technical characteristics. It was this task that caused the transition from the separate use of air defense and missile defense systems to a single integrated aerospace defense system capable of hitting the enemy in all ranges of altitudes and speeds. This system is now actively developing in our country. It was the works of scientists of our Academy and the Central Research Institute of the Armed Forces of the East Kazakhstan region that became the theoretical basis of aerospace defense. Let me remind you that the first military theoretical work on this topic in the Soviet Union was published in 1976. The main task that was faced and put before the developers of aerospace defense means is to ensure the comprehensiveness of the use of forces and means in the interests of destroying the enemy both in air and in outer space. -The modern system of aerospace defense of Russia is very different from the air defense system and missile defense systems of the Soviet era? – Principally changed approaches to the organization of air defense facilities. During Soviet times, the task of covering the country’s territory from enemy air strikes was accomplished through the use of a large number of air defense systems that were organizationally included in various branches of the Armed Forces and the arms, primarily in the country’s Air Defense Forces. Only our academy trained at the same time more than one and a half thousand commanders of regiments and air defense divisions. About two dozen military schools trained specialists for air defense. The number of units of various types of Air Defense Forces reached almost 400. A significant reduction in the Armed Forces, compared with what was in the USSR, required the solution of the task of preserving the country’s defensive potential with smaller forces with the same performance indicators. REFERENCE “MK”: The number of the Armed Forces of the USSR in 1990 was 4.5 million people. The number of Russian Armed Forces at the beginning of 2019 is 1 million people. Therefore, new anti-aircraft systems and complexes, as well as detection tools, over-the-station stations and other air defense systems with high efficiency, allow us to solve the tasks of protecting our country at the required level. – Do academies study the experience of recent local wars? What are the trends regarding the role of air defense? -The main rule that underlies the whole system of military education is to teach what is necessary in war. This rule is actively working with us. As for the role of air defense, not a single armed conflict, not a single war now begins without determining the winner in the confrontation of air defense systems and the forces and means of aerospace attack – from Iraq and Yugoslavia to the Syrian Arab Republic. In the first case – in Iraq – ground troops began fighting almost after the defeat of the Iraqi army as a result of air attacks. In Yugoslavia, ground forces were not used at all. In Syria, the actions of the air defense forces provided conditions for the preservation of the country as a sovereign state. Therefore, there can be only one conclusion – the all-round strengthening of air defense and the creation of aerospace defense, as the basis of the state’s defense capability. 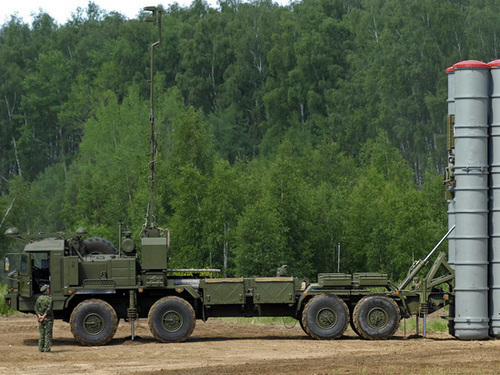 -Russia exports air defense systems, including C-400. Does the VKO Academy participate in the training of foreign defense defense specialists? -The training of foreign military air defense specialists has been one of the main activities of the academy since 1959. During this time, trained more than 4,000 military specialists. National military air defense personnel of individual countries are almost entirely composed of specialists trained in our academy. For example, Vietnam or Myanmar. In total, experts from more than 40 countries studied at the academy. Now trained more than 300 officers and cadets. At the same time, the set from year to year increases with the expansion of exports of weapons and air defense equipment. The Academy provides personnel support for weapons systems and weapons sold abroad as part of military-technical cooperation. – Did your teachers participate in Vostok-2018 maneuvers? – Every year, from 10 to 15 percent of academy teachers participate in military exercises and testing of military equipment. Not an exception and maneuvers “Vostok-2018”. The main lesson of the largest maneuvers: modern, powerful and mobile groups of troops, capable of projecting all their power in any strategic or operational direction in the shortest possible time, can win in a modern war. And the basis of success consists of complex, well-coordinated actions of formations and units of all types and genera of the Armed Forces, united by a common concept and plan. In this case, the most important role is played by the management bodies that are able to quickly make competent and informed decisions. This is exactly what the officers at our academy study. -How many teachers have visited Syria? What experience has been gained? -It is no secret that military advisers were and are part of the Russian group of troops in Syria. This experience is invaluable in the first place because there is a unique opportunity not only to use existing knowledge in practice, but to test new scientific developments in real combat conditions. In addition, we have the opportunity to become more closely acquainted with the tactics and techniques of foreign armies, to explore new means and techniques used by military aircraft of various states. This knowledge is used to improve the professional skills of our students and cadets.